Death. A bit grim, isn’t it. Morbid, macabre, unmentionable – but does it have to be that way? 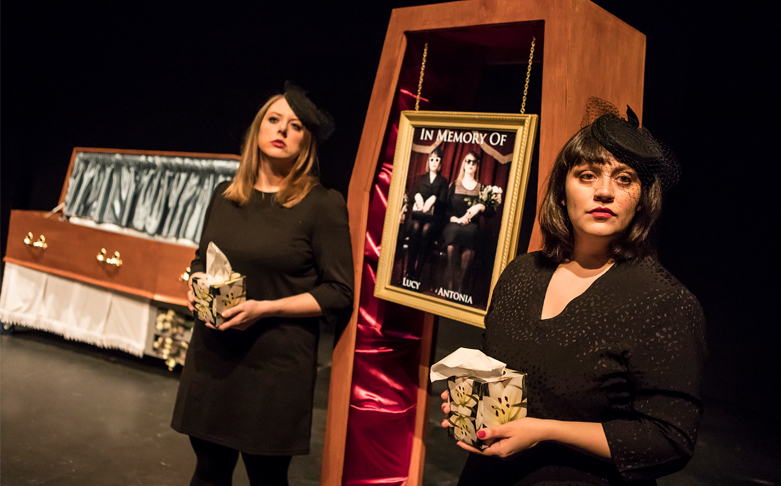 Drawn together by their shared fear of death, Lucy Nicholls and Antonia Beck invite you to embark on a journey of discovery, contemplation and courage, to celebrate your own mortality – laugh, cry, stick two fingers up to the Grim Reaper and discover why talking about death is ultimately life-affirming!